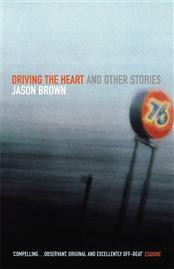 Jason Brown is an associate professor in the University of Oregon’s creative writing MFA program and earned his own MFA at Cornell University. The title story from his first collection, Driving the Heart & Other Stories (1999), appeared in Best American Short Stories 1996, and three later works were named among the series’ “100 Other Distinguished Stories” in 1997, 2005, and 2010. 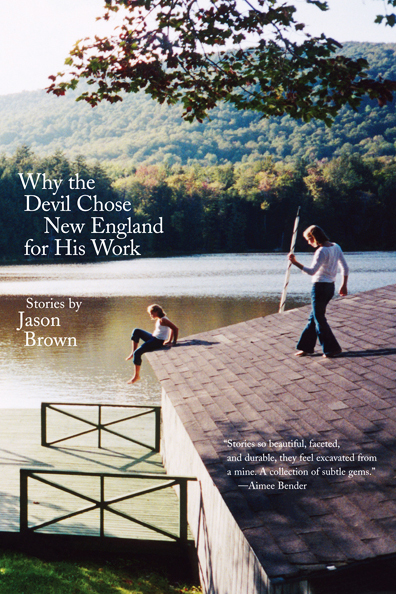 His most recent release is the linked story collection Why the Devil Chose New England for His Work (2007). Two stories from that book – “Life During Peacetime” and “Why the Devil Chose New England for His Work” – earned Special Mention in, respectively, the 2008 and 2009 Pushcart anthologies. 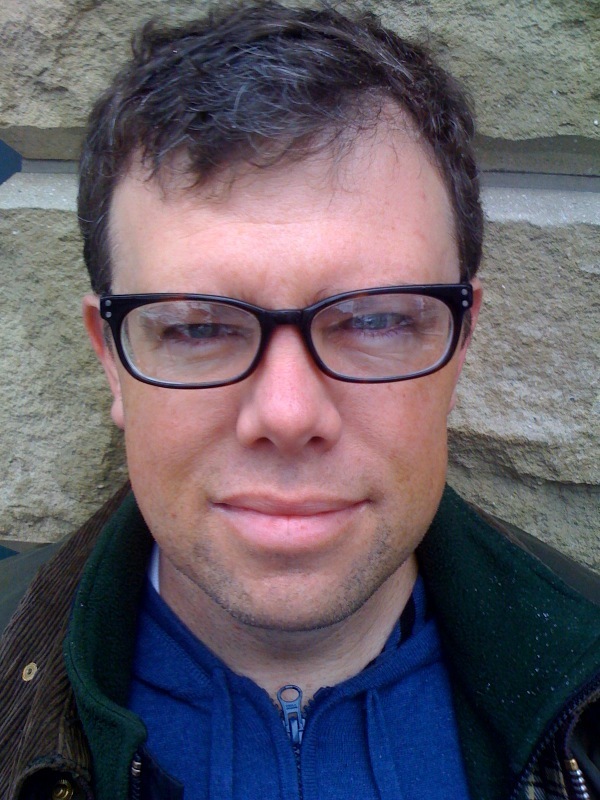 Brown is the recipient of a Wallace Stegner Fellowship in Fiction at Stanford University (1996-1998), a MacDowell Colony Fellowship (2002), and a Yaddo Fellowship (2002). His work has appeared in magazines and journals including The Atlantic and Harper’s, among others. Two nuns and a penguin approach you at a bar, and you tell them you’re a writer. When they ask you what you write about, how do you answers? I would say that my writing, and any art worth paying attention to, is about searching for meaning in a post-religious world. That doesn’t mean no one in our world is religious. Religion provides answers. Art is about the search for answers and about the search for a connection to something larger than ourselves. Some might equate the urge to create art with the urge to seek a spiritual life. For me, they are the same instinct. Points is primarily a blog for alcohol and drug historians. What do you think this audience would find most interesting about your work? My work might offer insights on how addiction functions in people’s lives. Society has many different ways of looking at addiction. The lens at the moment involves seeing addiction as a “disease.” I think the nature of addictions is far more complicated. What led you to write about drugs and alcohol in the first place? As a young person, I suffered from addiction and depression. How would you describe the way that drugs function in your work, whether in terms of thematic concerns or the choices you make about how to craft a story? Do you think there are things that you wouldn’t be able to explore as successfully if drugs weren’t in your writing arsenal? My experience with drugs and alcohol have determined how I see the world and how I experience myself and my life. In the beginning, drugs and alcohol can help open people’s minds and function to transform how they see the world. Drugs and alcohol can also help people numb psychological pain. In the end, though, drugs and alcohol are ways to escape from an authentic relationship with experience. What do you personally find most interesting about how drugs work in your writing, and where do you see that interest leading you in future projects? I am most interested in the dual nature of the relationship addicts have with drugs and alcohol. Drugs and alcohol can open the doors of the imagination and help us see what we would never have otherwise seen about ourselves and others. In the end, though, alcohol and drugs become all consuming for the addict. All the doors that drugs and alcohol opens for the addict are soon closed by drugs and alcohol. BONUS QUESTION: Let’s hope that one of your stories gets adapted into a major motion picture. What song do you fantasize about hearing as the credits roll? My goodness. Not sure. “Afternoon of the Sasanoa.” I do love the music of Eddie Vedder.